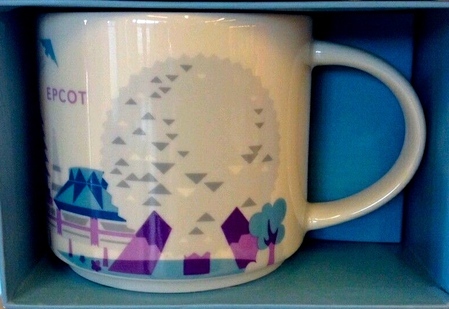 This Epcot mug was only for sale at Fountain View, the designated Starbucks location at the theme park. A new version of the mug that does not include the purple monorail train will be available eventually, a Disney spokesman said. I'd like to purchase this mug. Who is willing to sell?